Tamara Austin has over 14 years experience in todays most focused areas of the Health Industry-Alternative Health. She considers herself an Alternative Physical Therapist as she specializes and is known all over the South Bay as the only Microcurrent Specialist successfully treating Chronic Muscular injuries. She has been trained in Advanced Body Mechanics and nutrition. As a Licensed Massage Therapist, she has apprenticed under Chiropractors and understands the Philosophy and Application of Chiropractic Care as well as the importance of working with other Health Professionals for the benefit of her clients. Tamara has continued her education in certifications of advanced modalities, including Classic Pilates taught under Stacy Vargas at PISC Pilates Institute of Southern California in Manhattan Beach; Certified Tech in Microcurrent, an Electrotherapy Treatment for pain management; Certified Stretch Tech, Certified in the Egoscue Method for Postural Therapy providing the knowledge and experience to apply Movement Therapy for rehabilitation and strengthening. Tamara is also a Licensed Esthetician/Skin Care. She has several advanced certifications in skin care from the Dermal Institute and is certified in some of the most known and popular product lines; Image, Dermologica, Epicuren and Obagi Systems. In the lasts 6 years she has focused on progressive products that maintain the overall health of her clients and has implemented Image Skin Care for a more organic and medical approach to skin care. 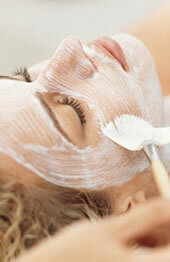 She is also certified in several advanced modalities for body/spa treatments.